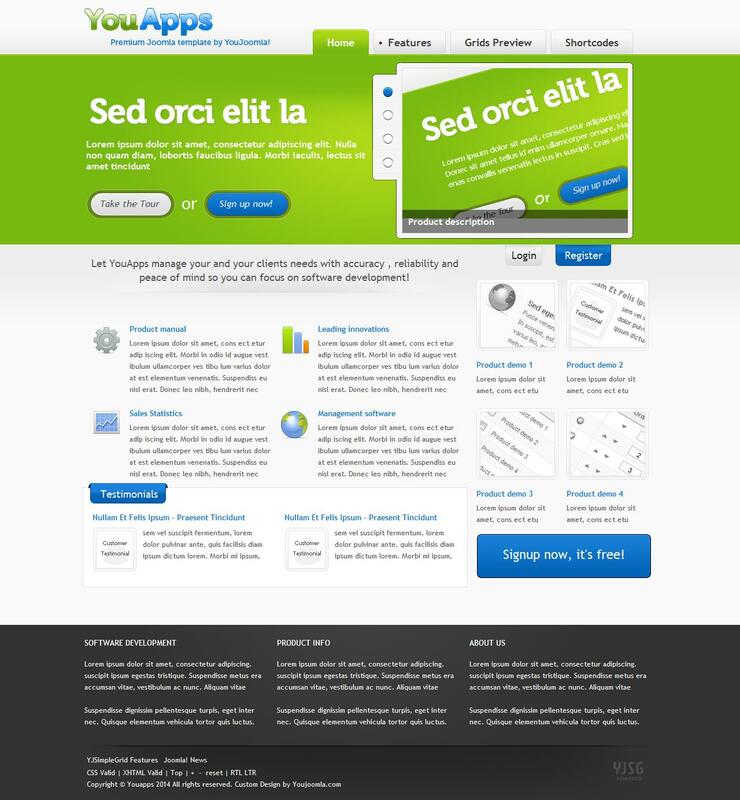 YJ YouApps - specialized in WEB 2.0 style template from the studio YouJoomla. Designed specifically adapted to the software sites, applications or presentations. In the arsenal of the following template expansion studio: YJ Newsflash 3.0, YJ Newslider 9.0 and YJ Registration module. SEO template uses functions in all modern browsers, has 49 module positions, 3 combo style CSS, smooth dropdown menu, split menu, the compression on the server side, additional printing styles, adjustable width.